Yesterday I was cleaning up around the garden and harvested these soursob tubers from one pot. The longest measures about 10 cm. 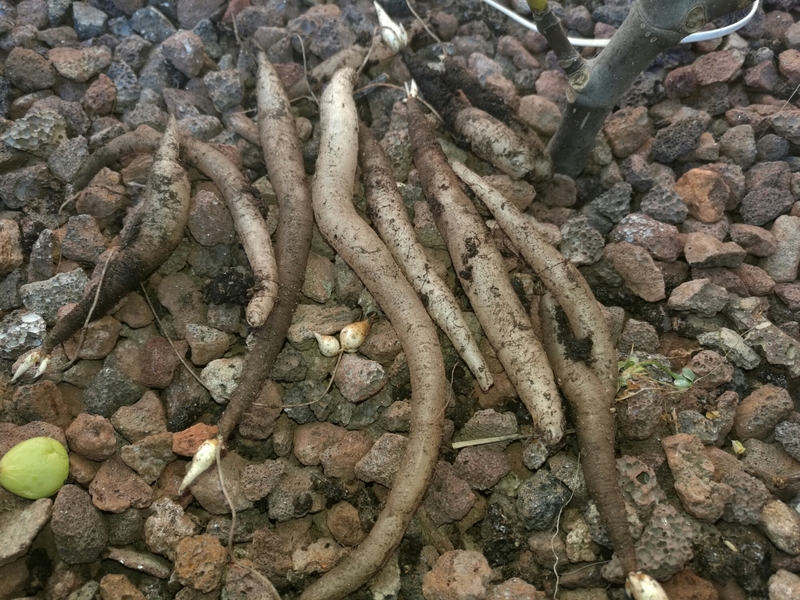 These tubers form the underground storage part of the soursob and are starchy, sweet and have just a little bite, as the oxalic acid levels are the lowest in this part of the plant. Maybe this is because the tuber is well burief, so it doesn’t meet the acid to deter predators. Maybe you remember that last year I wrote a post on these tubers. This year, soursobs were our only ‘weed’, having managed to force their way through several layers of compost and at least 10 cm of mulch (in some cases, 70 cm in the raised beds) and outcompeting the other plants there. They’re related to Oca, or New Zealand Yam, specimens of which didn’t thrive at all this year, despite some being in the ground, and some in pots. My whole crop of NZ yams died. Interesting to learn about new plants, though not sure I want something with this strength (if it can get through a raise bed). Sorry to hear about the other things not producing this year.